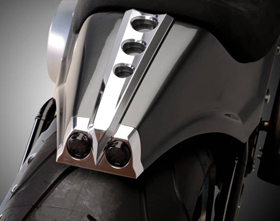 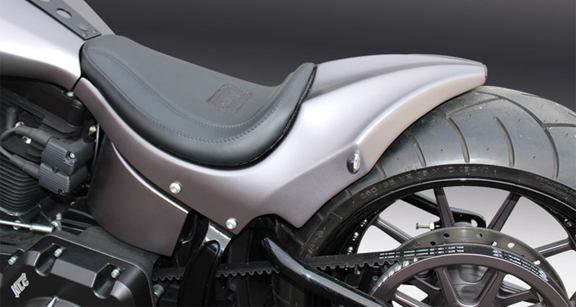 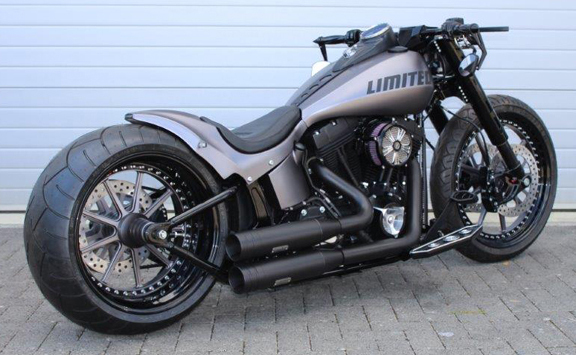 This rear fender was designed to fit on all Softail models made from 2008 to 2017, except Breakout’s. 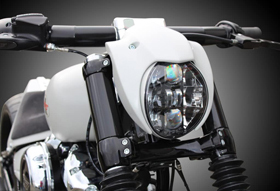 It is made of fiberglass and features a mini super-bright LED tail light. 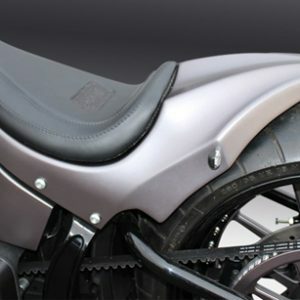 The stock Harley seat will not fit, so you will need a local upholstery shop to fabricate one on the seat base we provide. 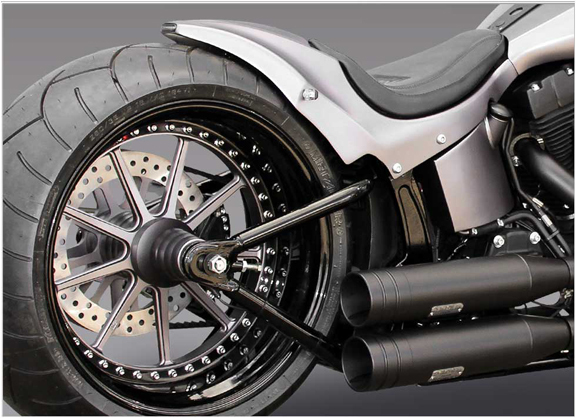 Kit includes rear fender, LED taillight and seat base. 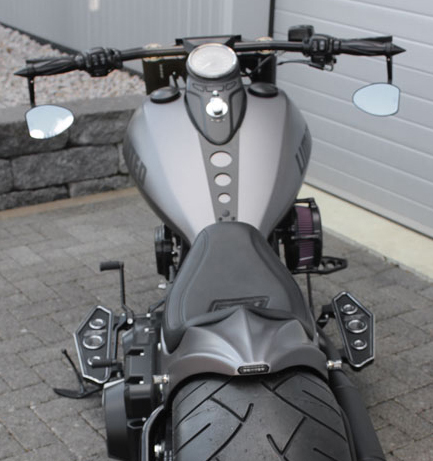 Ready for prep and paint.